San Diego State University has set a new record for the number of students seeking admission to the school with 94,142 undergraduate applications received for fall 2019. This topples last year’s record-breaking total of more than 93,600. While the application period typically ends in November, this year the application period was extended to Dec. 15 due to the wildfires that tore across the state last fall. Prospective students can expect to be notified of their admission status in March. This year’s record-breaking number includes more than 69,360 first-time freshman and more than 24,500 new transfer students. 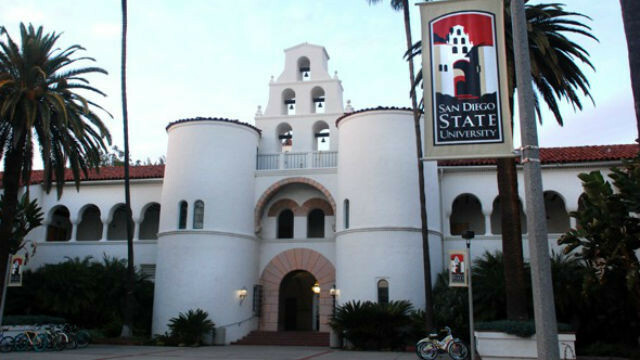 SDSU also received more than 4,330 graduate applications. This number is expected to grow as different graduate programs accept applications at different times. SDSU is consistently named one of the top 10 colleges with the most applications by U.S. News & World Report. This is the fourth consecutive year the school has received more than 80,000 undergraduate applications and the second time applications have topped 90,000. The university is nationally recognized for academic excellence and for programs that support student success. Most recently, U.S. News & World Report Ranked SDSU No. 60 among top public universities.